In reality, these cookies are extremely quick to make, because unlike a lot of other cookie recipes, these don’t require any chilling time. You can go from mixing all the ingredients, to scooping out the dough onto cookie sheets in a matter of minutes. 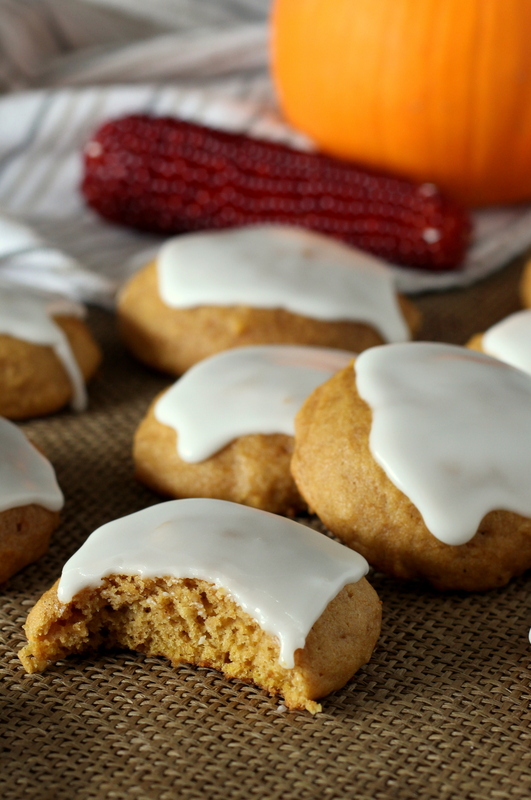 They are a staple cookie in the fall rotation. I think I’ve probably made a batch every fall since I’ve been married. To this day, wherever I take these cookies, people love them. They are a soft cookie, similar to the big, thick sugar cookies. 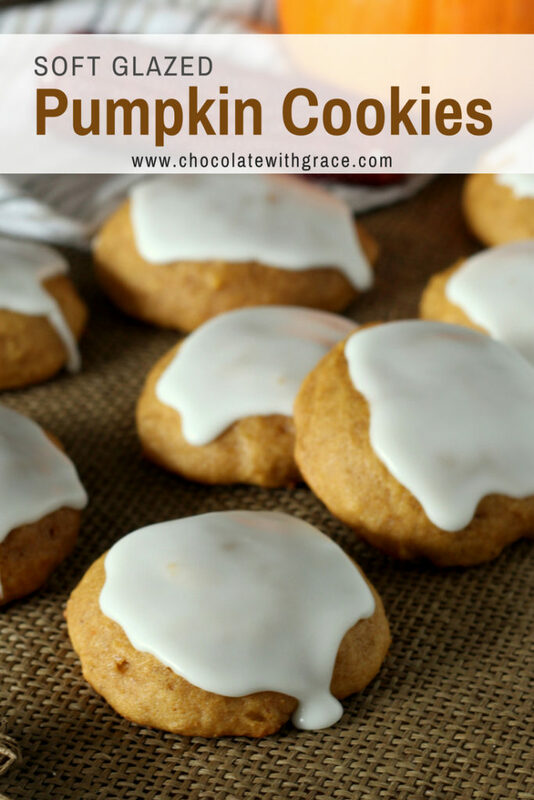 The recipe makes close to six dozen cookies and thankfully, they freeze well frosted or not. I remember sneaking cookies out of the freezer when I was little too. They taste just as good frozen too. Or maybe that’s what I told myself, because putting them in the microwave for a few seconds would have alerted mom to the fact that a cookie thief was on the loose. 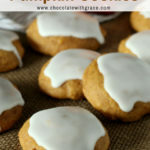 The Famous Soft Glazed Pumpkin Cookies that get compliments wherever I take them. 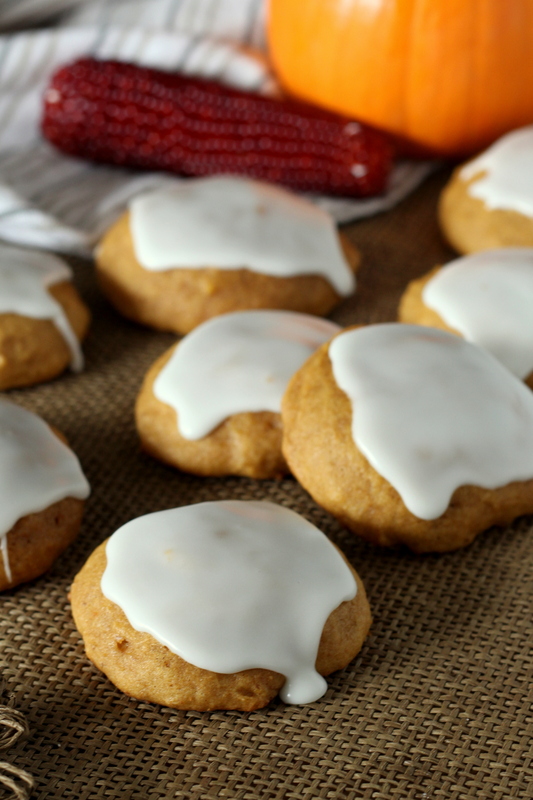 A quick and easy pumpkin cookie recipe. Some other delicious sounding pumpkin cookie recipes from around the web. Soft cookies are my weakness – these look like little clouds – so scrumptious! I made these cookies last night and brought them to work. They are a hit!! I’ve eaten about 10 since last night! They are so moist. 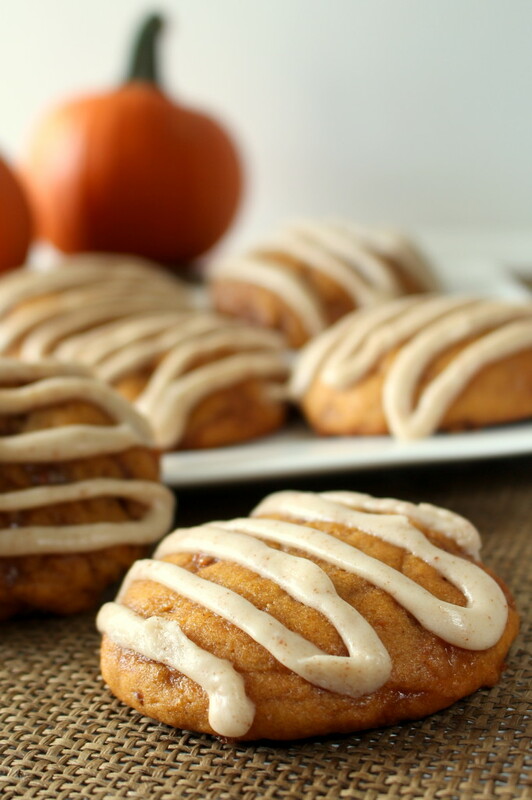 Do the cookies have to be refrigerated due to the milk in the glaze? Did you drop or hand roll these to get the nice smooth even texture? Mine at baking now how ver they are all uneven. Sure they’ll taste fine but I like appearance too! Hi Lisa, I dropped them and smoothed out and odd shaped lumps to get them more round before I baked them. I made these and they had no flavor. All we tasted was flour. Why? Did you spoon and level the flour into the measuring cup? Or scoop up the flour with the measuring cup. Spooning and leveling will give you the right amount. Otherwise you could end up with too much flour in the cookies. I decided to make these for my upcoming family cookie swap. I like the recipe. The cookies taste good. I will warn that my hand mixer did not fair well and fell apart because of t he heaviness. If you can half the batch, I would suggest it your poor hand mixer doesn’t end up dying like mine did. 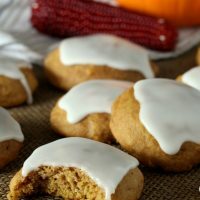 Give me ALL the pumpkin cookies! They’re my favorite! Bring on the pumpkin! These look divine. Yum!! These look to die for. Yum! 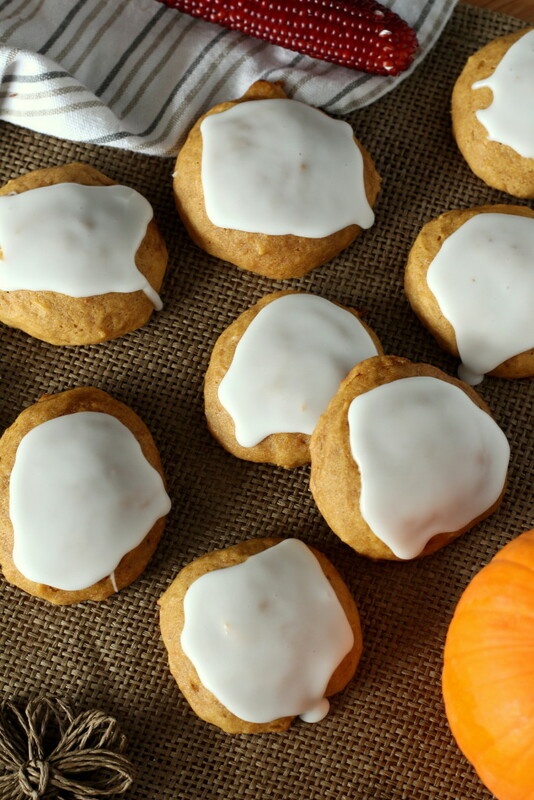 These are wonderful pumpkin cookies. I used to work at Pike Place Market in Seattle and would buy the pumpkin cookies there. These are like that recipe. We like more spice so I used a pumpkin spice and doubled it. Also added the pumpkin spice to the frosting. I made these yesterday, the mix is sticky but once I got the hang of it , it was fine. The shapes came out just like the picture. Most importantly they are delicious!! I will definitely make these again.